Getting out on the last weekend of September to check out the fall colors in Colorado is kind of a tradition of mine, and this year would be no different, even if the colors are a little behind this year. 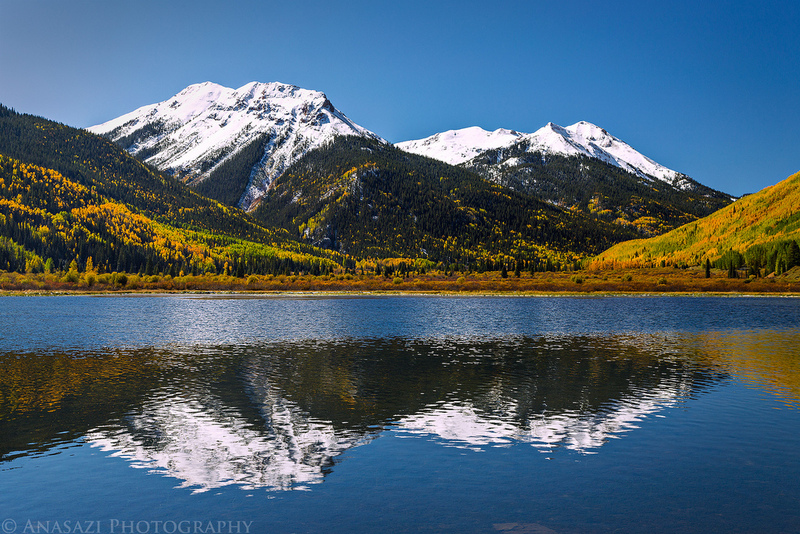 On Saturday, Kelly and I headed up to the San Juan Mountains between Ouray and Silverton for a day trip just to see how the colors were. We found the best color between Ouray and Red Mountain Pass with the best display around Ironton Park and Crystal Lake. Lucky for us, a recent storm had capped the surrounding mountains with fresh snow, too! We spent the morning hiking around Crystal Lake and taking plenty of photos. 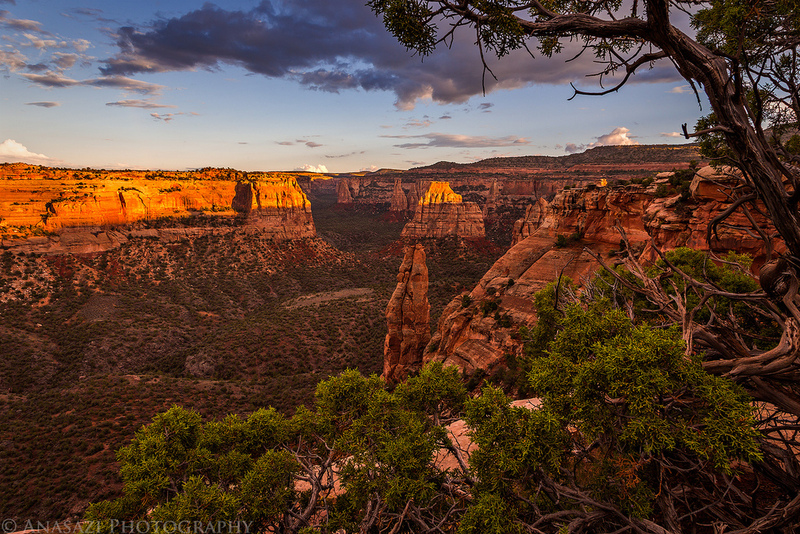 On Thursday evening my friend Lisa contacted me to let me know she was taking a last minute trip to the Colorado National Monument this weekend and she wanted to see if I was available to go hiking on Sunday morning. It just so happened that I planned to be home all this weekend and was planning on hiking around the Monument already. We planned to meet up on Sunday morning and hike Monument Canyon from top to bottom. It has been a few years since I hiked the full canyon and I was looking forward to it. We met at the lower trailhead at 8:00am, left her car there and then took my Jeep up to the upper trailhead. 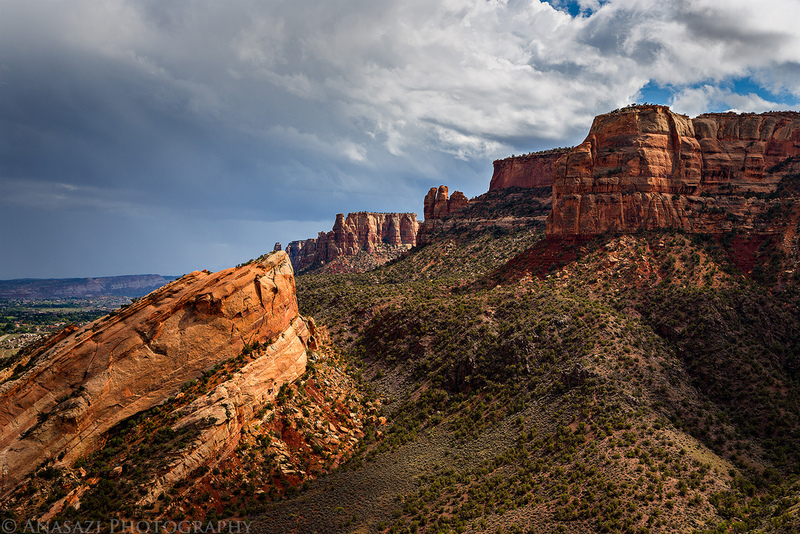 I’ve seen The Island sticking up between Wedding Canyon and Monument Canyon for many years while photographing the Colorado National Monument from the overlooks along Rim Rock Drive. You can see The Island across the canyon in the photo below taken earlier this year from Grand View. For a long time I’ve wanted to hike up there but never seemed to get around to it. I decided to change that this weekend. 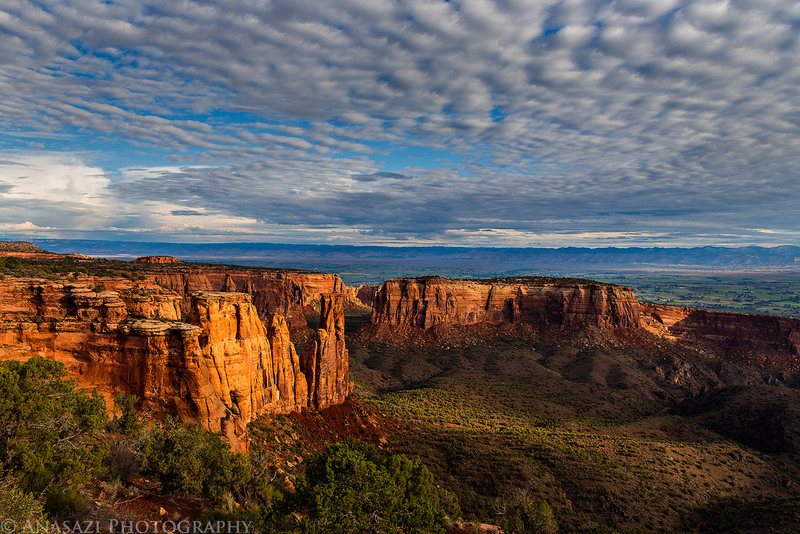 It’s been a while since I headed up to the Colorado National Monument after work to catch a sunset, so after all the rain we’ve had in the past few days I thought it might be a good idea to head up there this evening since the storms had finally started to clear.